One morning in August 1945, I was walking home from the night shift at a factory in Hiroshima. As I reached my door, there was a huge explosion. When I came to, my head was bleeding and I had been blasted 30m away. The atomic bomb had detonated. When I found my mother, her eyes were badly burned. A doctor said they had to come out, but he didn’t have the proper tools so used a knife instead. It was hellish. I became a peace-worker after the war. In the 1960s, at a meeting at the UN, I met one of the people who created the atomic bomb. Read on and see more via ‘The Hiroshima bomb detonated 3km from my house’: veterans around the globe tell their extraordinary war stories | Art and design | The Guardian. 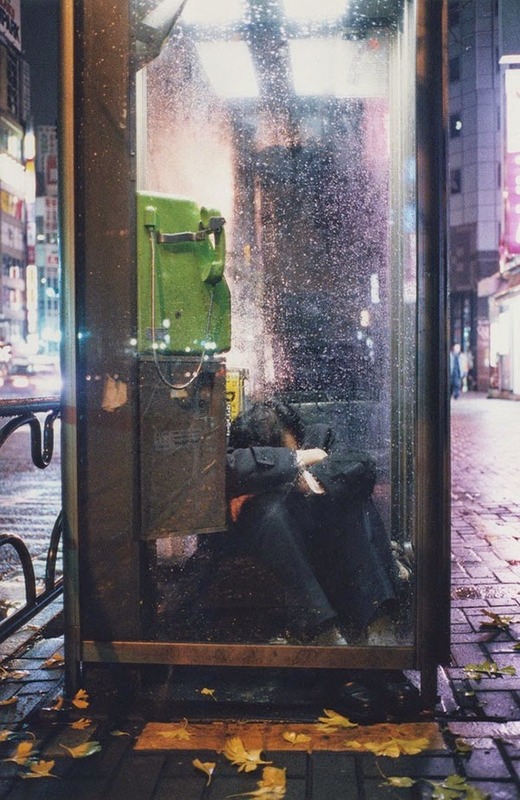 Photos of Japanese men passed-out on their way home from nomikai social functions, an important part of corporate culture in Japan designed to bring colleagues closer together. Workers are often paid a specific allowance to make sure they have no excuses for not attending which leads many businessmen to drink to excess. Japanese custom dictates that you must never turn down the offer of a drink from your boss. My photographs are a record of the people who have reached their limit and exhausted their strength after the daily grind. Everyone has different burdens, but everyone lives at a frantic pace. 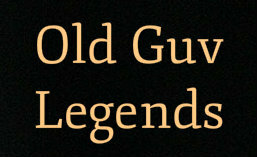 People drink with friends as a reward for the hard day’s work and face a new day’s work like warriors. A lot of people struggle through such work situations. I took these pictures with a true feeling of respect for the people in them. I don’t believe the state my subjects are in is shabby in any way. I can feel they have experienced hardships and fatigue to end up like this. See and read more via Drunkard’s Heaven: Photos by Kenji Kawamoto – Faith is Torment. 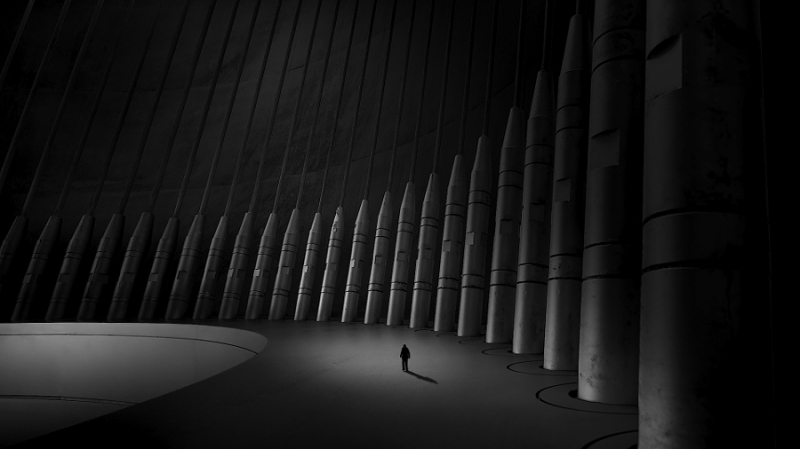 Black & White Images by Jim Mikami. 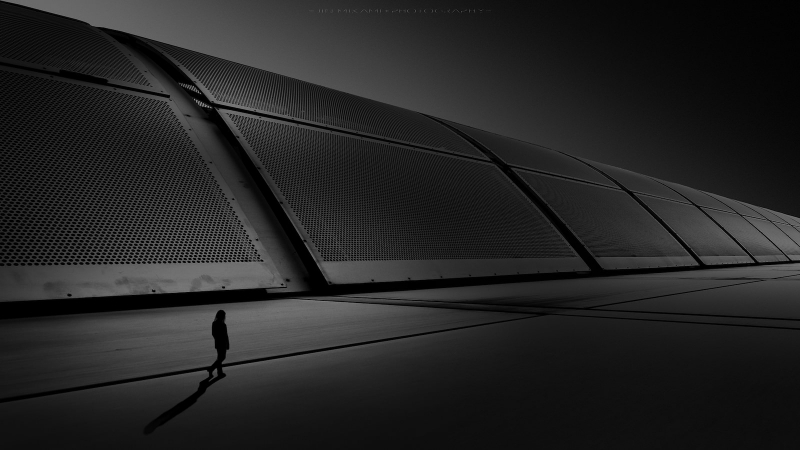 Incredible black and white architectural photography bathes Japan in a darker light by Jin Mikami. There is very little known about Japanese photographer Jin Mikami. 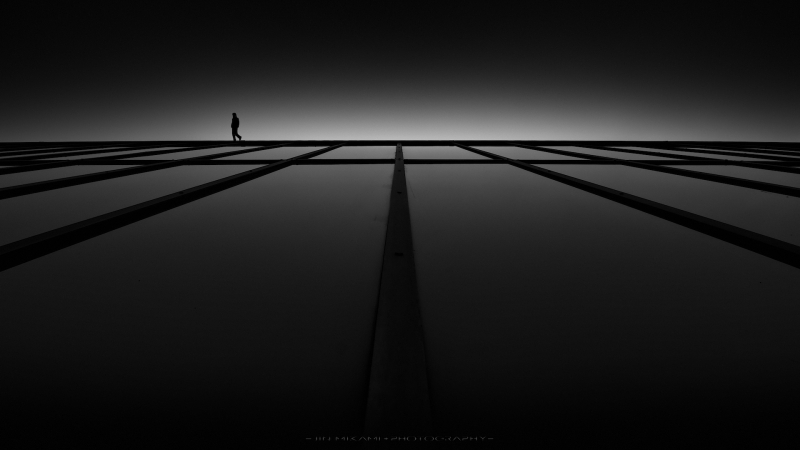 Only that he creates the most stunning black and white architectural photography of his beloved home country, Japan. Exploring places such as Tokyo and Osaka – he picks out the symmetrical details and interesting forms of the usually neon-bright, colourful city streets, and bathes them in a darker light. Playing with light and shadow, these incredible photographs force us to reconsider the shapes and forms that lie before us. You can discover more of his incredible work over on 500px.com. See more Images via Incredible black and white architectural photography bathes Japan in a darker light | Creative Boom. 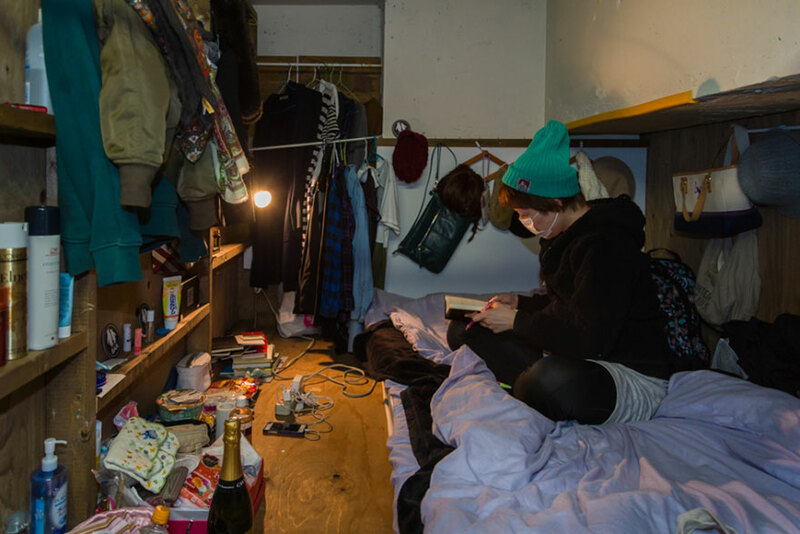 People in Tiny Rooms, Tokyo. 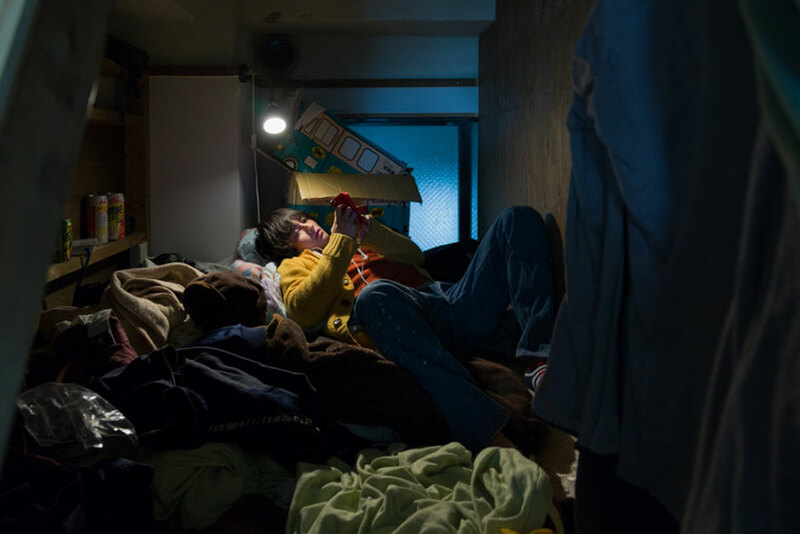 We’ve all heard about Japan’s extraordinary ‘capsule hotels,’ but photographer Won Kim’s intimate photos give us a personal look at another set of tight living quarters – a hidden hotel in Tokyo that was designed as a guesthouse for backpackers. Kim stumbled across the hotel when backpacking across Japan, and returned two years later to photograph it. He lived there for several months, befriending residents and photographing the small, womb-like spaces that they call home. The entire hotel is located on a single floor of an office building in north-east Tokyo. 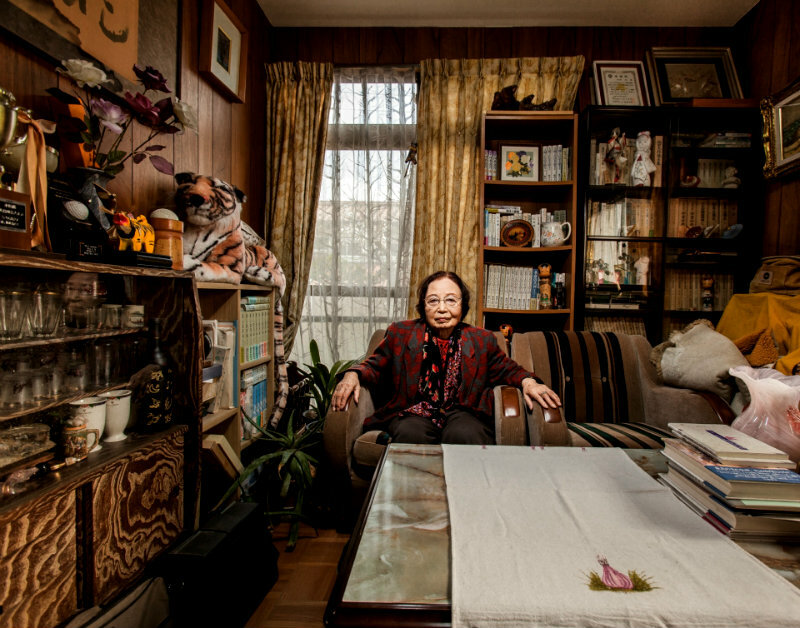 Some of the residents are short-term visitors while others, says Kim, are essentially permanent residents. 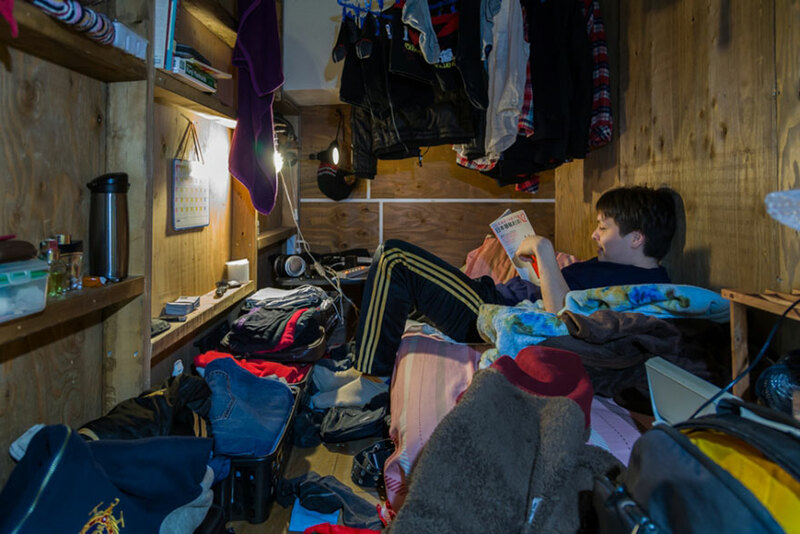 “For me, the real interest of the resulting portraits is in how each resident has made use of a such a small, confining space,” Kim writes. “In each case, the sharply-defined space and its contents tell something about its occupant’s personality, and his or her ability to function in such a strange, enclosed environment. The Back Alleys of Tokyo. Japanese photographer Masashi Wakui has a great eye in terms of picking out everyday scenes that are rich in details and conveys something about daily life in Japan. 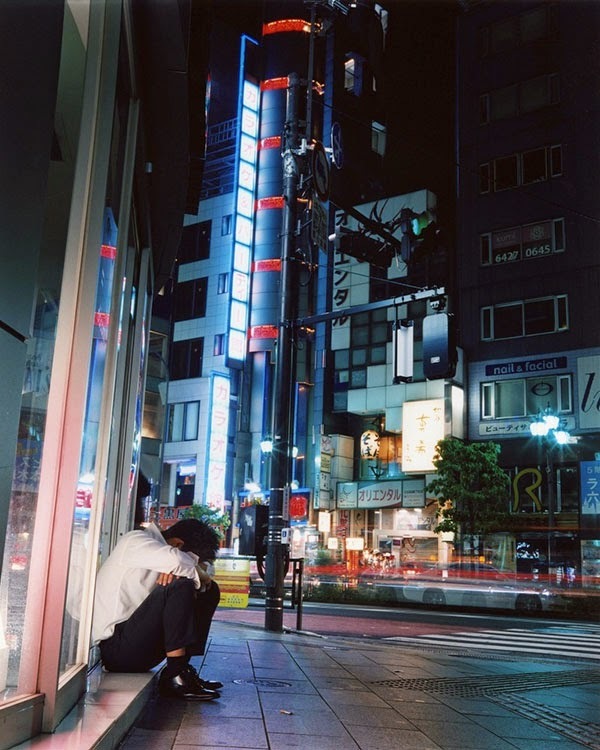 He takes photos of Tokyo’s back alleys at night and manipulates them by boosting the colors and playing with hazes that adds depth to the images. Though artificial, the photos have a certain mood that seems familiar. It sort of reminds me of Blade Runner, with some scenes shot in rain-soaked alleys glimmering with neon lights. What makes Wakui’s photos attractive is that you can get lost in them by imagining yourself wandering these alleys alone with your thoughts. See more of Masashi Wakui’s work on Flickr. Japanese photographer Hidenobu Suzuki offers an immersion in his native country. He freezes colourful landscapes from the Land of the Rising Sun. 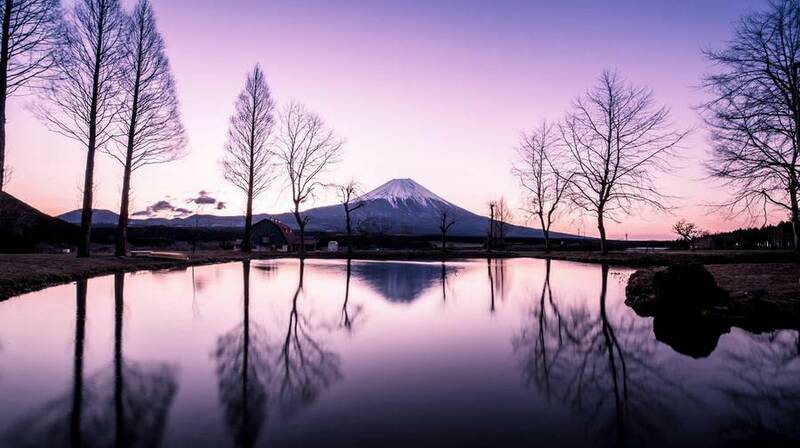 For example, the colours of Mount Fuji during sunset. See more images via Japan Immersion Photography – Fubiz Media.